Get your glasses delivered across the globe! It is not news that what you wear and how you look contributes to your success. Glasses and sunglasses play a paramount role. Some famous business idols pay little attention to their clothing but still care a lot about their glasses. In fact, it became a trend in the past decade to wear very low profile clothing. Steve Jobs, Mark Zuckerberg, Bill Gates, Elon Musk tend to have low key style. If they have to wear glasses, that becomes a central point of their image. Steve Jobs glasses and John Lennon glasses are among the most searchable key phrases. Mark Zuckerberg sunglasses is also on the rise. So, if you are not into fashion but still want to have your signature style, you can easily achieve that with finding a right pair of glasses. One brand that comes to mind is Dior Homme. Dior Homme is a Dior fashion label that is created entirely for men. Dior Homme eyeglasses is a very limited edition line of just several styles. When you first look at Dior Homme eyeglasses, you find that they look relatively simple. But with a bit more attention more details will pop at you. Little things like a hinge wire, metal and plastic combination, horizontal gradient color make Dior Homme unique and participant in true fashion making. Men glasses are typically simpler than women. Usually black or brown in rectangular or round shape. Dior Homme sunglasses have modified rectangular or modified round shape that looks more interesting giving its wearer instant upgrade in style no matter what he wears for clothing. 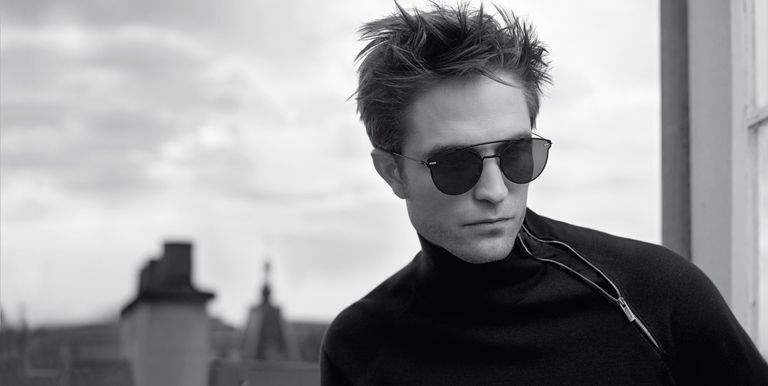 Dior Homme sunglasses tend to give you style, even you only wear black turtleneck and jeans. Steve Jobs always wore same New Balance shoes, dark turtleneck and baggy jeans. But still, everyone remembers him as stylish person mainly due to his glasses and of course due to his charisma. Get your style with Dior Homme glasses. Marc Jacobs is perhaps the most innovative American designer today. A winner of countless fashion awards, founder of the fastest growing American brand, human rights activist and Vogue's editor in chief Anna Wintour personal friend, Marc Jacobs is a huge success in the making. He attributes his own success to his talent in arts and business. He worked for Luis Vuitton for 7 years while creating his own brand in parallel. There are two brands actually Marc Jacobs and a diffusion line Marc by Marc. Marc Jacobs has signature style with cartoon like animals and animal elements. His cat and mouse shoes have now become classic and were an inspiration for many known designers. Marc Jacobs created his own style that is very American with use of pop art combined with French elements to give the brand upscale feel. Marc Jacobs is a brilliant business man. He understood very early that use of accessories could be an amazing marketing for his starting brand. Perfume Daisy was sold out world wide and when it was announced to be discontinued people swiped entire shelves going crazy for it. It was now reintroduced to the market.